I'm going to be an aunt! A couple of weeks ago, I threw my sister a blue and green baby shower. 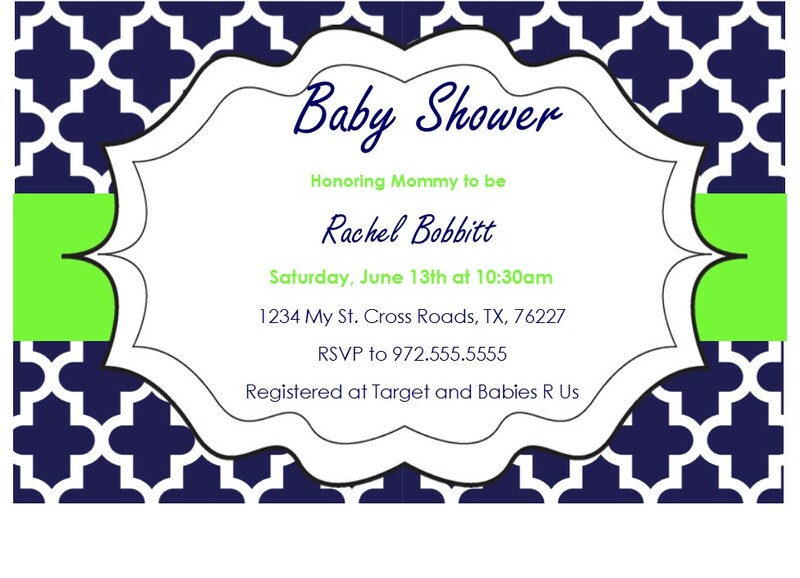 She was specific about the baby shower and didn't want anything cartoonish for the shower. I searched all over the internet for a baby shower idea and came up empty. 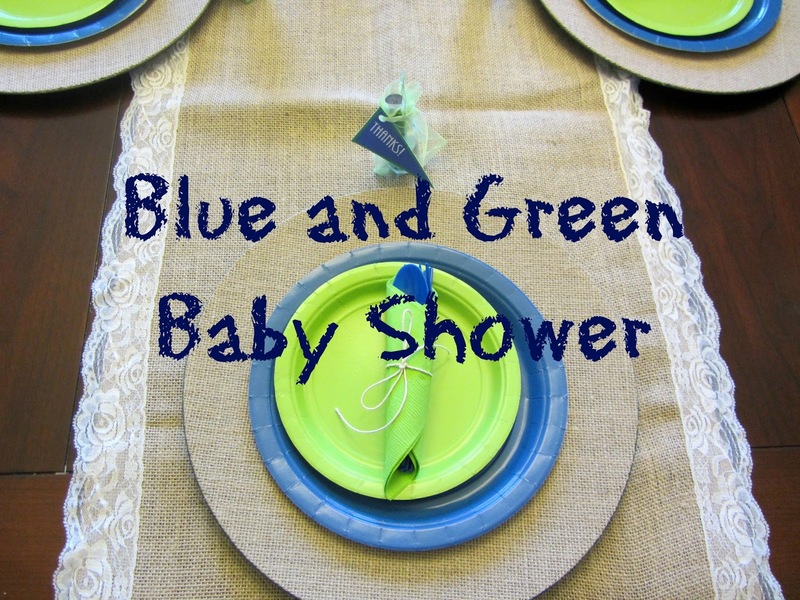 After some brainstorming, I decided on a blue and lime green baby shower. 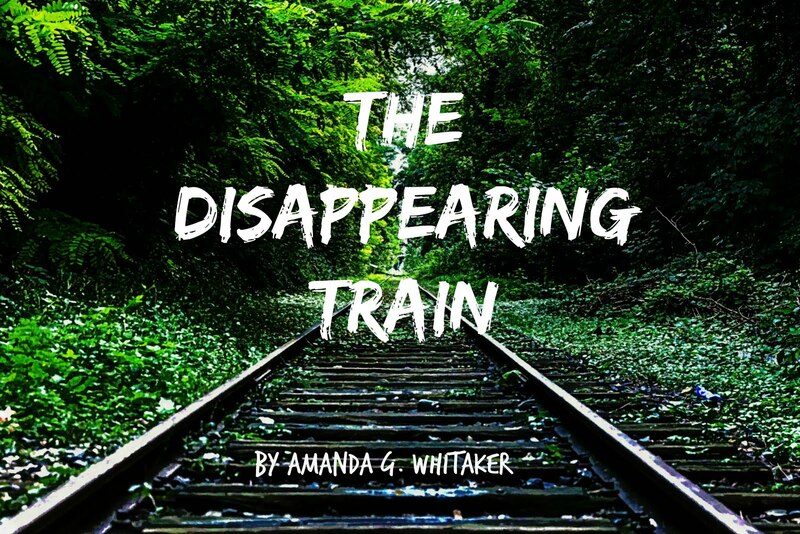 It turned out fantastic, and the mommy-to-be was happy. 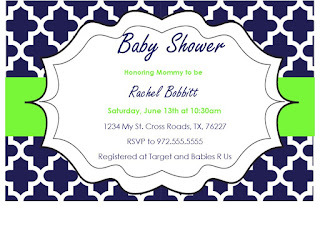 The invitation is one that I designed for the shower. Thankfully, I have two tables. We used both of them for the shower. The chargers were burlap, and the plates were blue. 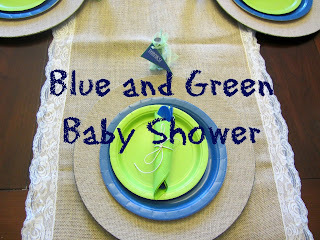 The cake plates were lime green, and I used lime green napkins to wrap the blue plastic ware with twine. It looked bright and festive and it was an easy clean up. At the top of every place setting, I placed the party favors. 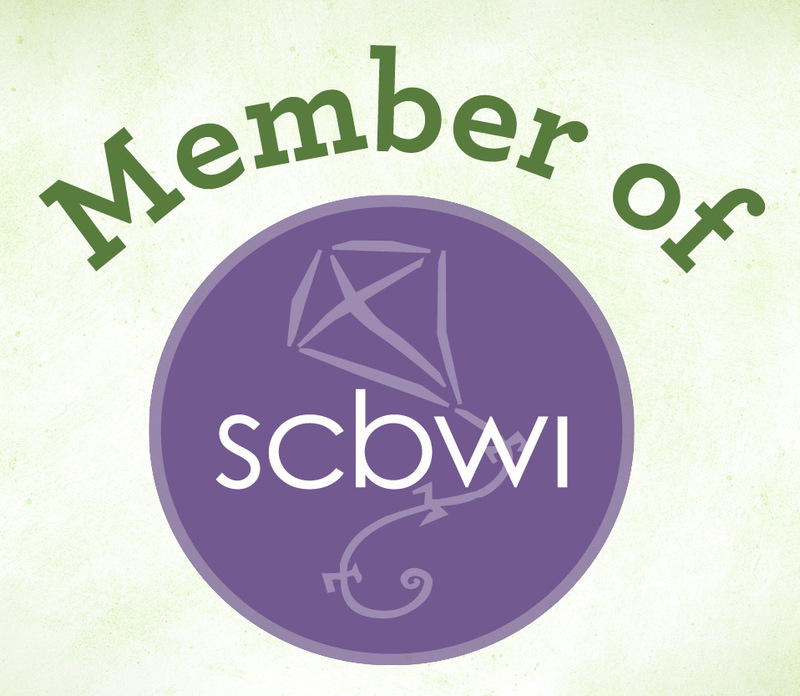 It was part of the decoration, and it included a blue nail polish within a lime green mesh bag tied with a banner thank you. 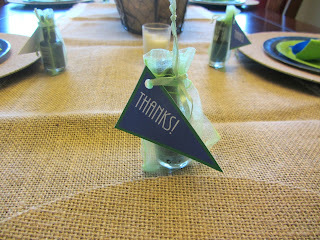 The centerpiece for the dining room table was an adorable burlap basket filled with granny smith applies. I made the banners and added them to basket. The decorations needed to be simple yet elegant. Balloons were added to the chain of the chandeliers to add a festive touch without seeming too childlike. The baby shower cake was the second table's centerpiece. I used banners for the cake toppers, and everyone loved them. The fireplace was the focal point for the gifts. The kitchen table bench was used to stack presents so the mommy-to-be wouldn't have to bend over to reach the gifts. 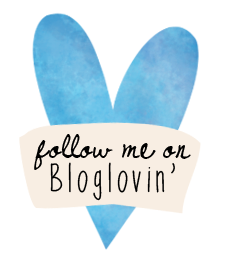 I purchased a ready made banner from Hobby Lobby, and then added the baby's name. 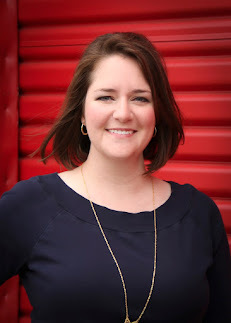 The menu included blueberries, green grapes, chips & salsa, grilled chicken salad, and mini M&Ms. 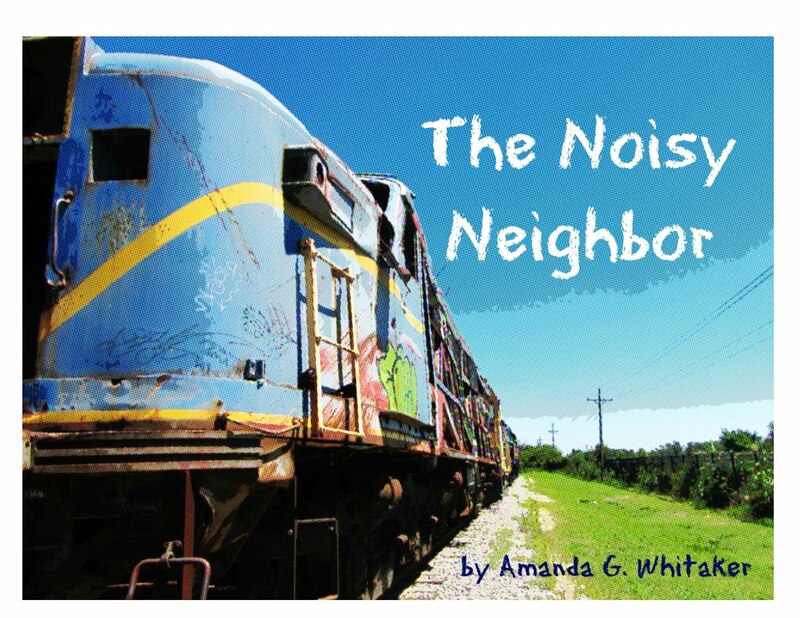 Since I didn't want my sister to disown me after the baby, we played crowd friendly games. 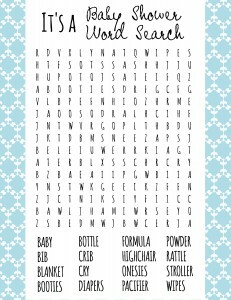 The first one was a baby shower word search from Frugal Fanatic. The first person to find all the words won a prize. For the second game, I made a list of foods that mommies-to-be usually crave. My sister had to describe each food without saying the name of it. I added a bonus one at the bottom in case a couple of people tied. 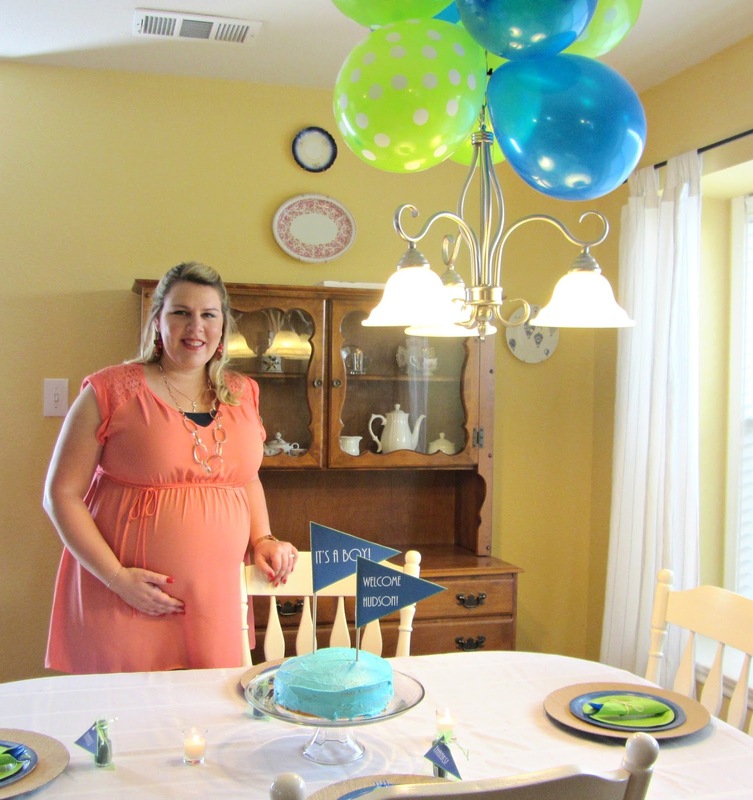 Everyone had a wonderful time, and now my sister is ready for baby boy to arrive. I'm can't wait to hold my little nephew.